APIs have found their way into strategic priorities worldwide, but why? Turns out, APIs offer much more than just streamlining development processes. 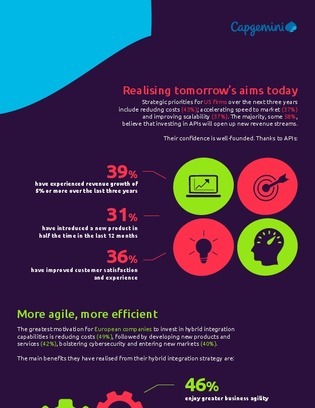 View this illustrated breakout to see why firms in the US, Europe and Asia-Pacific are making earnest investments into APIs – from cost savings to enhanced cybersecurity.